This post may contain affiliate links, which means I may earn some money if you click on one. Everything you need to know about growing sunflowers in pots. 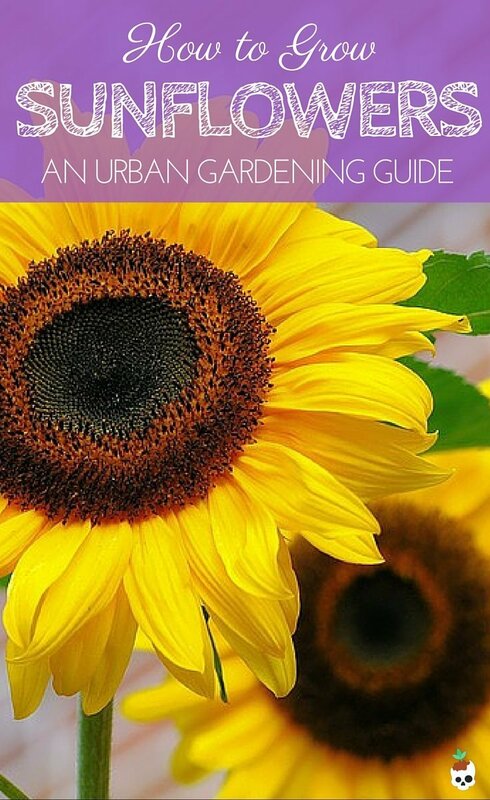 Whether you’ve got a tiny balcony, patio, or back yard, you can still grow your own beautiful sunflowers! Planting instructions, what pot size to use, care tips, and what varieties to use for small balcony or patio gardens. When growing sunflowers in pots you can get almost almost any size you want: from small dwarfs that grow to only 2 feet to giants reaching up to 12 feet in height or more. The larger varieties will need larger containers, at least 3-5 gallons, but are at risk of toppling over if you are up high where there is a lot of wind. We recommend one of the small or medium varieties for balcony gardens, as they will be easier to manage. To eliminate the guesswork in selecting the right size containers for your plants, we’ve put together a list of commonly grown herbs, veggies, fruit and flowers along with the minimum pot sizes required by each. Get the Free Container Size Guide for Small Space Gardening . Direct sow sunflower seeds from mid-April to late May, after the last spring frost date when soil temperatures have warmed. Smaller varieties will need a pot at least 15 cm (6″) in diameter. 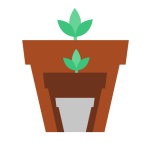 Plant seeds at least 15 cm (6″) apart, covering with 0.5 to 1 cm (1/4″-1/2″) of soil. Keep soil moist, and seeds should sprout in 10-14 days. Water only when the top 1″ of soil is dry to the touch, as sunflowers are drought tolerant and do not grow well in waterlogged soil. Because sunflowers grow so vigorously, they are heavy feeders that require nutrient-rich soil. When planting, you can work a granular slow-release fertilizer into the soil. Alternatively, fertilize occasionally (according to the directions given on your specific fertilizer) with an all purpose balanced liquid fertilizer. Where Can I Grow It? Growing sunflowers in pots is best done outdoors since most varieties get quite large. However you can grow smaller dwarf varieties inside as long as you have a nice sunny window or grow light. As the name implies, sunflowers are sun lovers that require at least 6-8 hours of sunlight, so it is best to give them the sunniest location possible. Sunflowers are susceptible to toppling over in the wind, so a sheltered location against a wall, or staking them for support is best. Sunflowers are ready for harvesting when the back of the flower has turned from green to yellow or brown. The flower head can then be cut at the base, and hung for further drying. When seeds are fully dry, they can be harvested for eating or planting. Although the most common color is yellow, sunflowers range in color all the way from yellow, to orange, to red. Grow sunflowers along with tomatoes, peppers, or cucumbers for beneficial effects. Sunflowers are helpful to have in gardens as they prevent aphids from infesting the rest of your plants. Industrious ants will herd aphids onto the sunflower stalks, reducing the number of aphids elsewhere in the garden. Sunflowers are also great for keeping thrips away from your pepper plants. Hi! I'm Brie. I'm a Canadian gal living in the big city with a love of plants and a gardening obsession. I'm on a mission to help you grow your own food, add some green to your living spaces, and keep your precious plant babies alive — even if you live in a tiny apartment like I do. Just had to let you know your site is beautiful and I absolutely LOVE the name and tagline! Too funny! 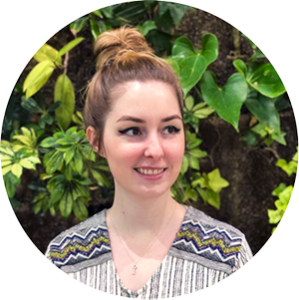 I’m an organic gardening blogger and found you (and pinned and followed you!) on Pinterest. Really enjoyed this post as I absolutely love sunflowers (they’re in my logo and everything. :-)) Have a great day. Hi! Found this post on a Pinterest group board I contribute to. Nice to see another small space garden blogger! I grew a smaller variety of sunflowers on my balcony last year. I didn’t know you could grow the larger ones in pots. I’ll have to try that once I have more space. I just started some flower seeds that I hope grow, including some mini sunflowers again. Thanks for sharing this great information! 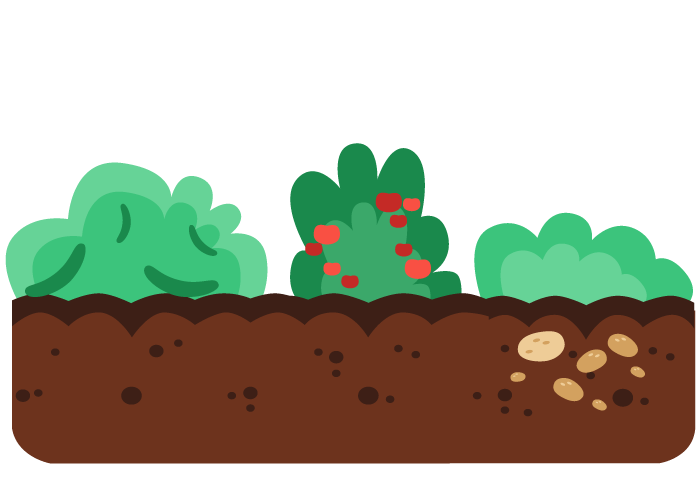 My name is Brie, and I’m here to teach you all my tips and tricks for small space gardening. 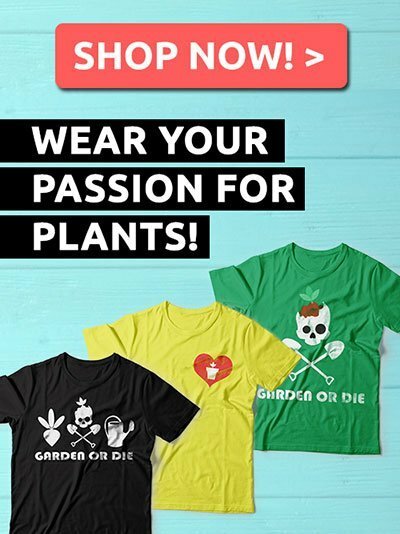 Whether you’re starting an edible garden on your tiny balcony, feeding your succulent & cacti addiction with an ever-growing collection, or looking to find the best way to keep your house plants alive — I’ve got something here for you. Use the best plant + pot size combinations to maximize your space with our Free Container Size Guide.